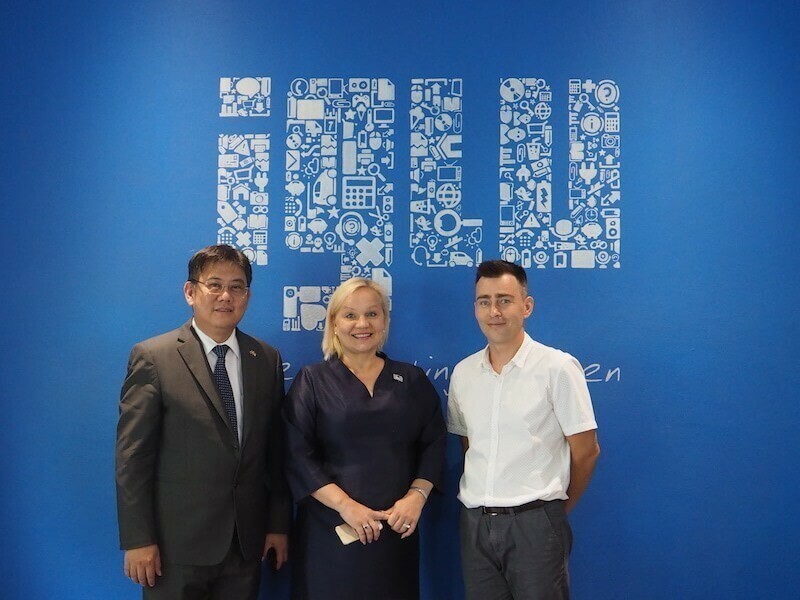 On Friday, June 2, Iglu had a special visitor as Finland’s Ambassador to Thailand, Satu Suikkari-Kleven, came by to see the company headquarters in Chiang Mai’s Mae Hia area. It shouldn’t come as a complete surprise that the Finnish Ambassador was interested to visit Iglu. Not only is Iglu Founder and CEO Ozzi Jarvinen a Finnish national, but Iglu is also the largest employer of Finns in Thailand. We even have more Finns working here than Finnair has in the country. Ambassador Satu Suikkari-Kleven arrived at Iglu’s Mae Hia office around 3pm on Friday afternoon with the Finnish Honorary Consul to Chiang Mai, Narong Kongprasert, also in attendance. The two were given a tour of Iglu’s office, with the Ambassador impressed by the ambiance and relaxed atmosphere of the working areas. Those who have seen the office would agree that it makes a sharp contrast to the concrete and glass skyscrapers one finds in Bangkok. In particular, the Ambassador seemed to be fond of the Thai style relaxation cushions in the lounge area and the koi pond garden in the central courtyard. After the tour, Ambassador Suikkari-Kleven was given a presentation on the history of Iglu. She was impressed by the rapid growth of the company, which has expanded to 4 offices and 131 employees from 26 different countries in just a few short years. The Finnish educational system and educational software were some topics that the Ambassador was keen to discuss. She was also quite interested in the work Iglu has done with Fun Academy, a Finnish company that develops digital learning tools for children. Iglu’s links to Finland run very strong. The company is 95% owned by Finns, has 30 Finnish employees, and 7 out of 10 of Iglu’s biggest clients in terms of total revenue are Finnish companies. Iglu has had a lot of success attracting international employees from Finland for a number of reasons. Among these are the favorable climate in Thailand and the cost advantages that come with operating here. The Finnish market is also one of Iglu’s main targets for future growth in both key areas of relocation and outsourcing. Iglu continues to focus on bringing more and more of Finland’s most talented digital specialists to Thailand to bask in the sun, enjoy the Thai lifestyle, and strengthen their professional skills. In addition, Iglu is still looking to hook up with more Finnish companies to help them to develop killer products. 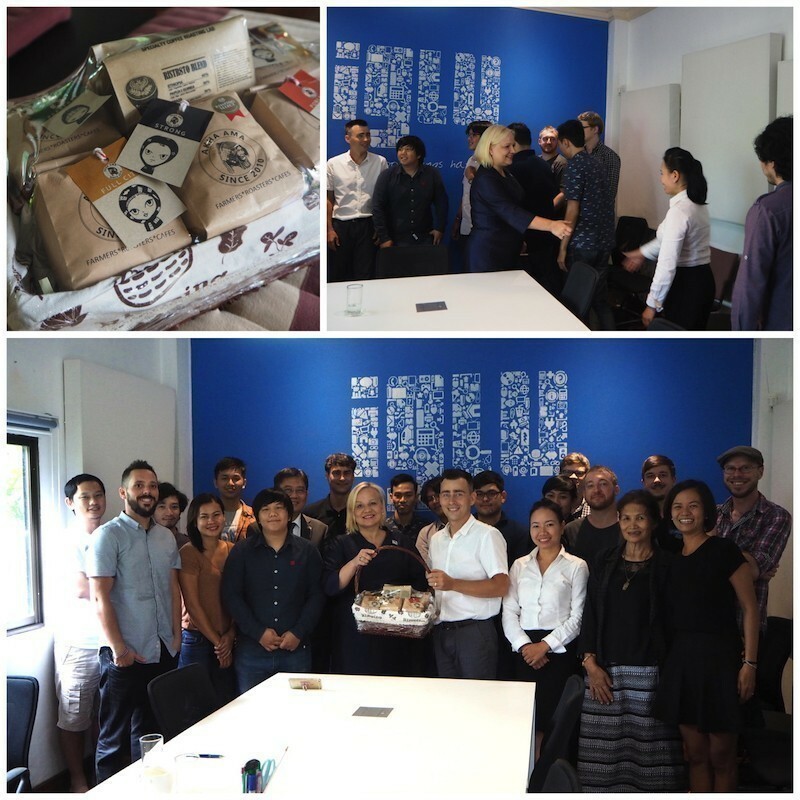 To leave the Ambassador with a fond taste for Chiang Mai, she was presented with locally grown coffee from northern Thailand specialty roasters Akha Ama and Ristr8to. Later in the evening, Iglu’s Ozzi Jarvinen and Ann Duangjai were guests of Ambassador Suikkari-Kleven at the European Union Film Festival being held at Maya Lifestyle Shopping Center. There she was invited as a guest speaker to open the festival, which began with the Finnish film The Happiest Day in the Life of Olli Mäki.